The rise of “Big Data,” an avalanche of computer-generated information across industries, has created an increasing demand for highly skilled business analysts proficient in quantitative analysis. I am pleased to announce that Simon is revamping its existing MS Program in Business Analytics in response to the ever-growing “Big Data” world. In talking with our corporate recruiters, we received feedback that the ability to extract useful business insight from huge amounts of structured or unstructured data is crucial to the career of our graduates. 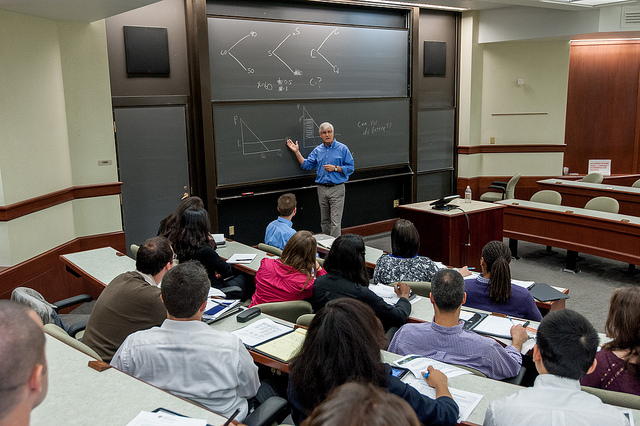 Our MS Program in Business Analytics aims to provide business students with this training. Two new boot camp courses will be offered to prepare students in R and SQL technologies. Two additional courses are being introduced: Advanced Data Mining and Machine Learning covers advanced analytics techniques such as neural networks and clustering high dimensional data; and in the Consulting Practicum, students will work with corporate clients, assessing the business context, and applying frameworks to suggest that identification of new strategies and technologies are key competencies. An optional internship track is also available that will extend the program from 11 to 17 months allowing time for a summer internship for students who enroll with limited professional work experience. Our goal is to enhance the technical skills we provide with more opportunities for direct engagement with companies that have needs in the business analysis area. These curricular enhancements will begin with the class entering in August 2015. We hope you are as excited about these changes as we are! For more information, visit our website and contact the Admissions office at Admissions@simon.rochester.edu or 1-585-275-3533.